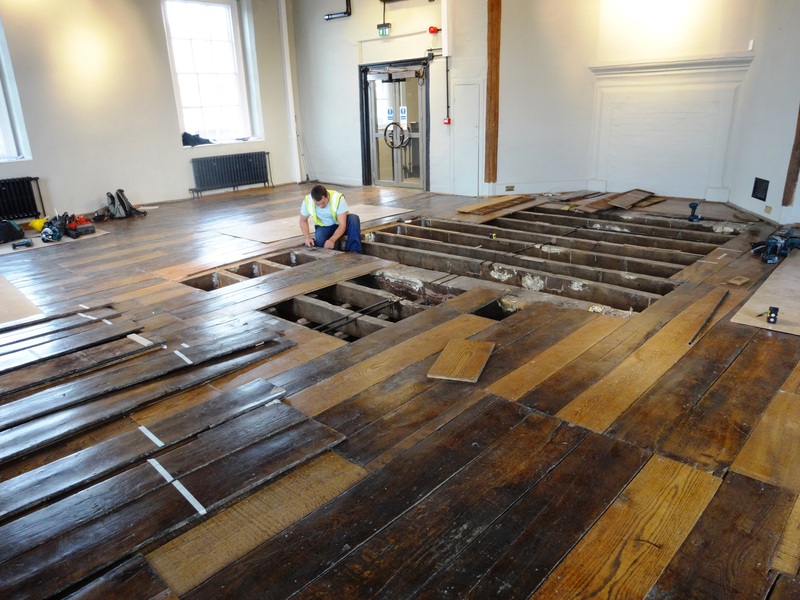 Lifting the floorboards in one of the 1st floor galleries (view from The Bear). 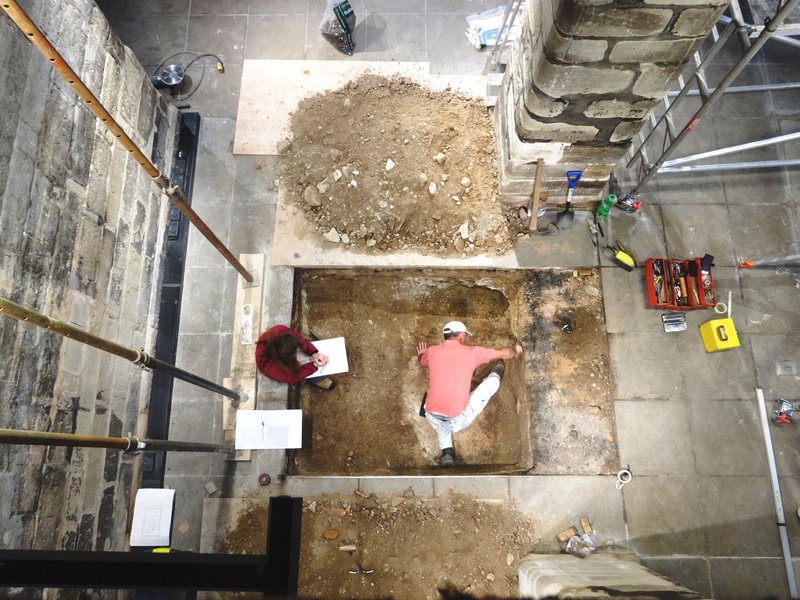 Cathy and Rob from Archaeology Warwickshire, excavating the footprint of the lift. 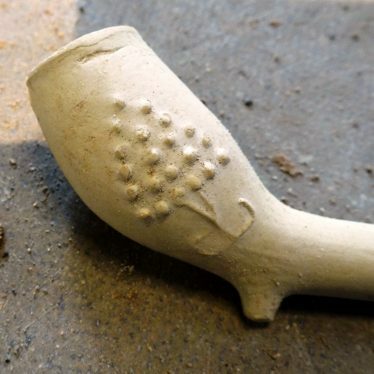 17th Century clay pipe found in the excavation, with mulberry tree decoration. 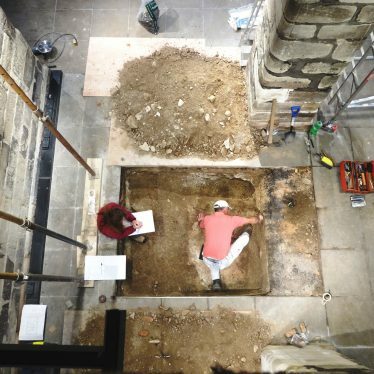 While preparing the building we had Archaeology Warwickshire excavate the footprint of the lift to see what they could find. During the dig (where the hole was taken down to around 36cm) they found a rather lovely clay tobacco pipe with a very well preserved mulberry tree design on the bowl. By looking at the shape of the pipe and comparing it to an archaeological clay pipe key, Cathy Coutts from Archaeology Warwickshire was able to narrow down when the pipe would have been made. We were all pleasantly surprised to find that the pipe was made in the 17th Century, between 1660 – 1680. 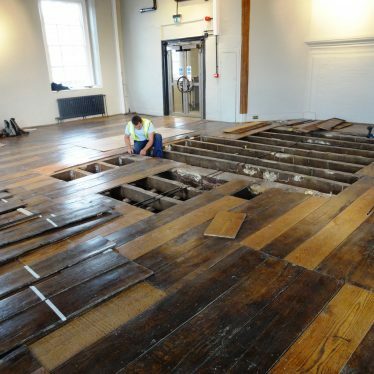 As the Market Hall was completed in 1670, we are guessing that it was dropped by one of the original workmen on the site and it broke. Back then, clay pipes were considered disposable, not far off the cigarette butts of today, so it is conceivable that it was just left to become part of whatever earthworks were going on at the time. We are looking forward to unveiling our new lift and bringing the galleries on the first floor to a wider audience, do come and try it out. 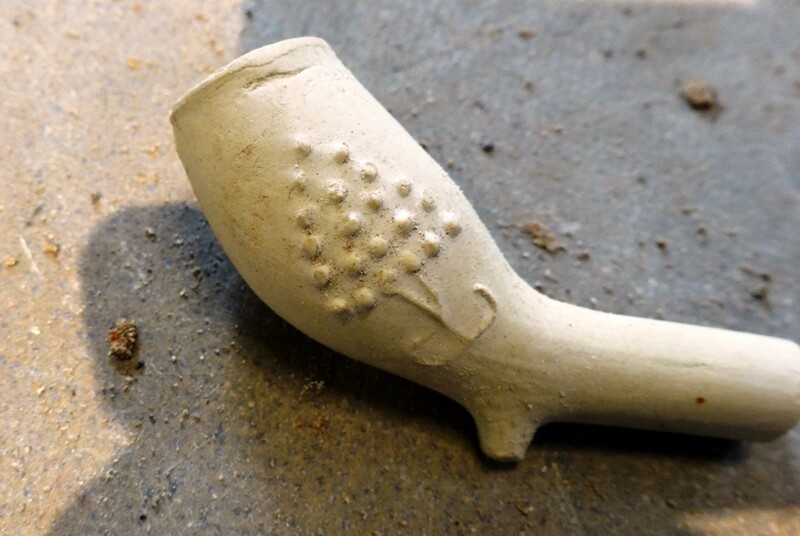 What a beautiful clay pipe – and so well preserved. It really looks like its just fallen from the 17th century user’s hands. Thank you for sharing.